Free shipping over RM 150.90 purchase. 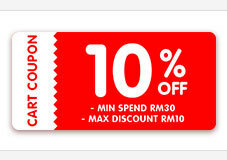 Shipping fee is free when purchasing above RM 150.90 in a cart. received my cloths in good condition.thanks seller.material not bad.